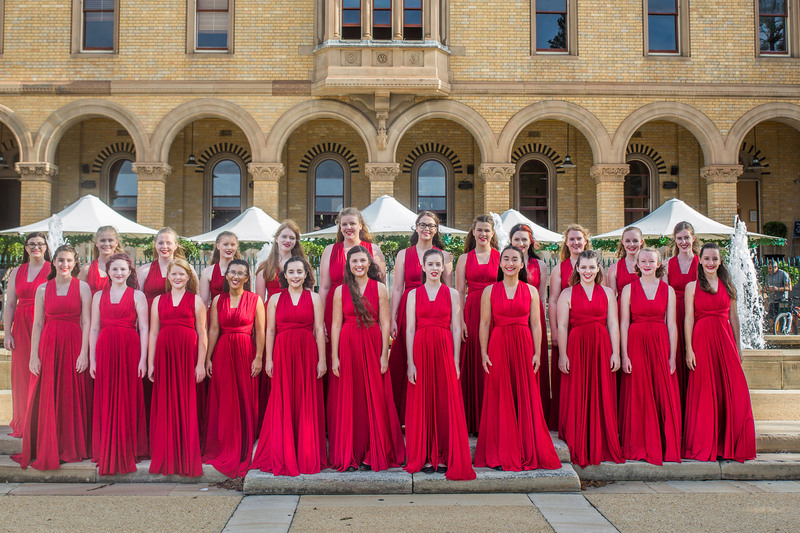 Being a part of The Australian Waratah Girls’ Choir is so much more than singing for an hour or two on a Monday night. Choir life is full of fun and adventure – hard work is part of the ride, along with a commitment to excellence and each other, and a host of amazing rewards result. Weekly rehearsals are the foundation. Here, we start with warms ups and basic vocal training before learning and refining repertoire for upcoming performances and projects. Throughout the year, there are camps and workshops for ongoing vocal development, plus team challenges and peer leadership as part of our team and personal development program. For girls 15 years and above, we offer scholarships for private vocal tuition (by audition and application), and let us not forget the photo shoots, social events, and tours – all great fun!